How do I get ? 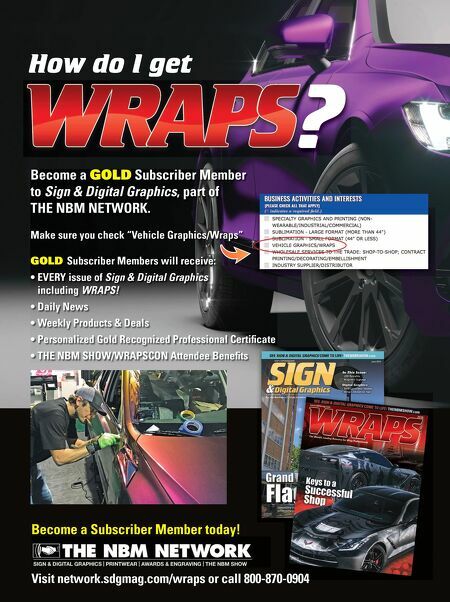 Become a GOLD Subscriber Member to Sign & Digital Graphics, part of THE NBM NETWORK. Make sure you check "Vehicle Graphics/Wraps" GOLD Subscriber Members will receive: • EVERY issue of Sign & Digital Graphics including WRAPS! 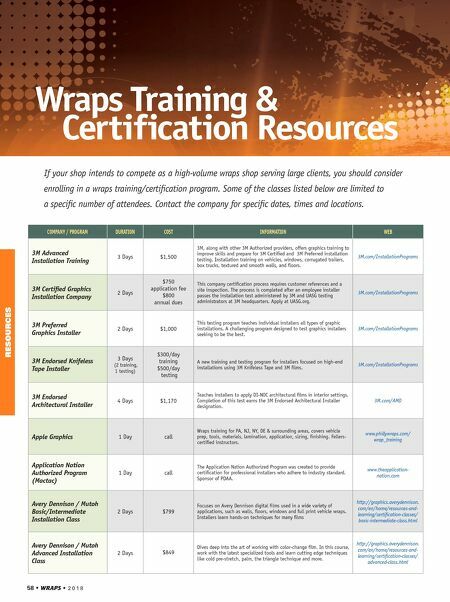 • Daily News • Weekly Products & Deals • Personalized Gold Recognized Professional Certificate • THE NBM SHOW/WRAPSCON Attendee Benefits Become a Subscriber Member today! Visit network.sdgmag.com/wraps or call 800-870-0904 Visit network.sdgmag.com/wraps or call 800-870-0904 Become a Subscriber Member today!